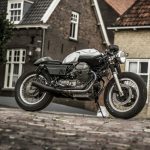 So, that was the first month of 2016! A good moment to look back and see which custom motorcycles stood. Not only bikes featured here, but also on fellow blogs. 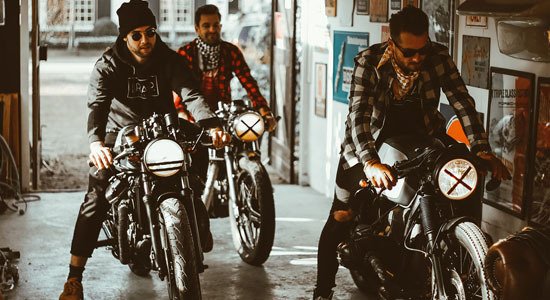 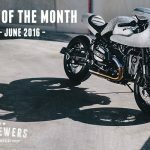 This month we’ve selected two BMW R NineT’s, a Honda CB750, a Honda Scrambler and an Indian Scout. Altough the BMW R NineT is a real modern café racer, it looks a bit big and bulky. 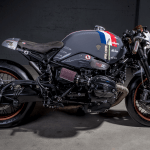 So Willie Knoll from Clutch Custom Motorcycles (from Paris) had a clear idea for this build: “The idea with this build,was to create something classy but aggressive. A bike that runs great, with great lines and big attention to details”. 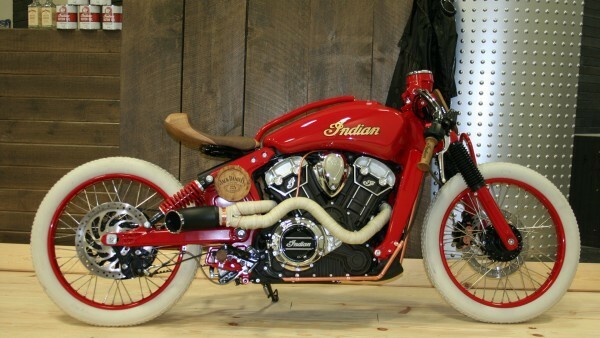 Built for the “Project Scout”, a worldwide contest for the best custom Indian Scout (model 2016), this beautiful Indian Scout Boardtracker was created by a Canadian Indian dealer. 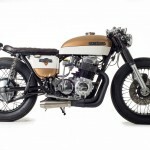 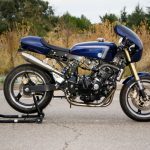 With so many custom Honda CB’s out there, it’s hard to build something different. 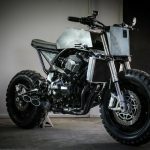 The guys from Thirteen & Company must be looking to Mad Max a lot, because this crazy CB750 has a real post apocalyptic look and odd styling. 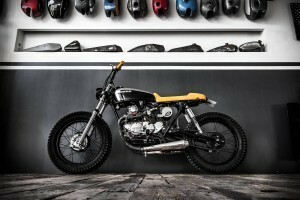 A real ghost build: the only things we know are that this is an amazing scrambler, based on a Honda CB250 Twin and that is (probably) built by Ed Turner. 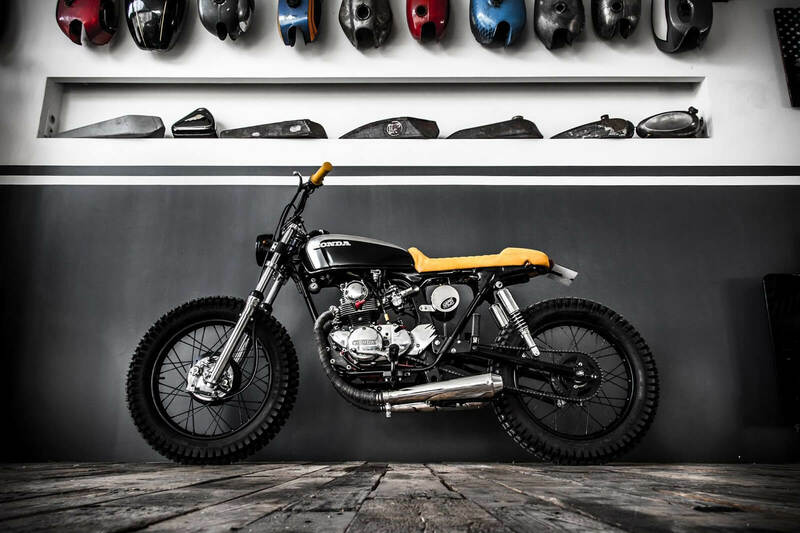 No story, no list of specs. 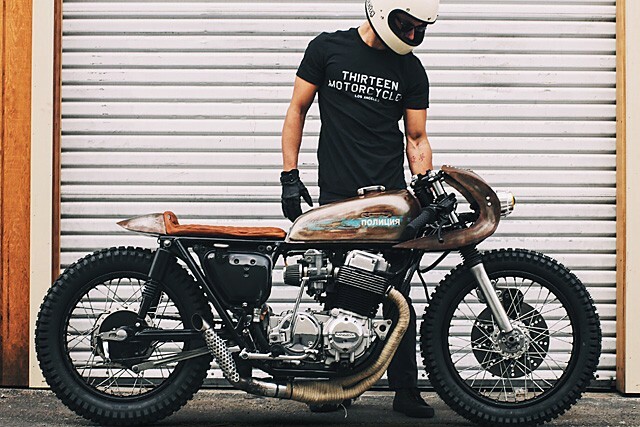 Just a serie of great pics. 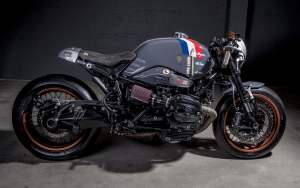 Another custom R NineT… This brutal creation comes from Switzerland and is built by VTR Customs, a little crew of 3 BMW fanatics. 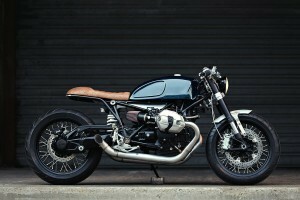 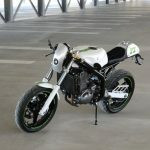 It’s called the “Coffee Low Fat”, considering that this bike is a café racer with a big low and “fat” rear wheel & tire.